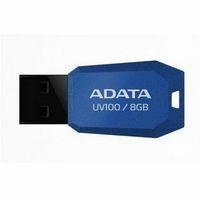 Pendrive ADATA UV100 32GB Czarny AUV100-32G-RBK Darmowy odbiór w 20 miastach! 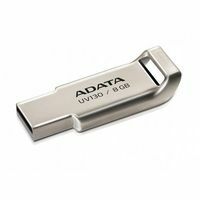 NokautElektronika.plKomputeryAkcesoria komputeroweNośniki danychFlashdrivePendrive ADATA UV100 32GB Czarny AUV100-32G-RBK Darmowy odbiór w 20 miastach! The latest slim profile USB Flash drive, the DashDrive™ UV100, expands the wide range of portable data storage options available. 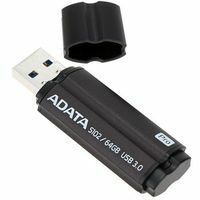 On-the-Go Style The drive incorporates the capless design that has proved to be such a successful and popular feature of ADATA Flash drives, eliminating the risk of cap loss. An integral strap hole makes the drive easy to carry on a lanyard or keychain. For the fashion-conscious, the drive boasts a diamond-cut bevel exterior, allowing owners to express their unique personal style. 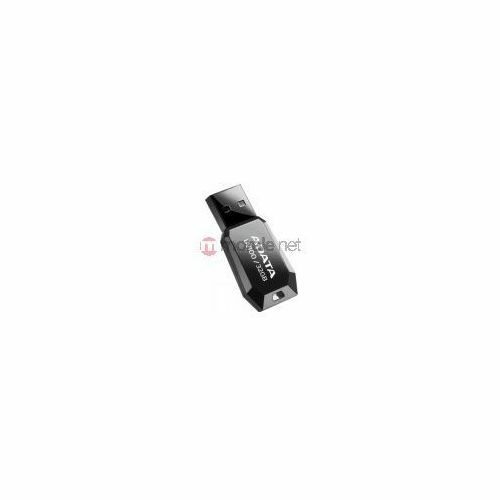 However, the key feature of the product may well be its highly competitive price point, which will make the UV100 an ideal option for those who use Flash drives on a daily basis and are looking for a highly portable backup drive. *Strap accessory shown in image is not included with the product. 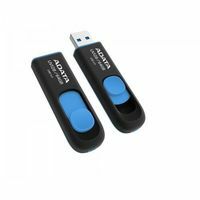 Slimmer and Smaller With a length of only 41mm and a thickness of just 5.8mm, it is an extremely compact and economical solution for those who view data portability as a day-today necessity. Capacities The UV100 comes with a lifetime warranty, and is available in capacities of 4, 8,16 and 32 gigabytes. 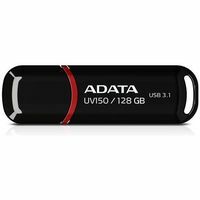 Pendrive ADATA UV100 8GB Niebieski Darmowy odbiór w 20 miastach! 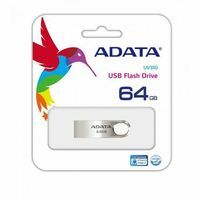 Pendrive ADATA DashDrive Value UV150- (AUV150-128G-RBK) Darmowy odbiór w 21 miastach!